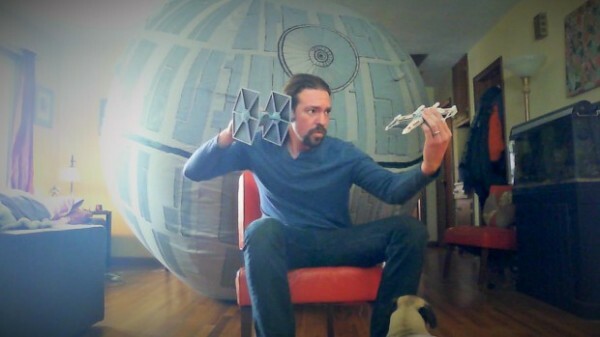 Build a 12 Foot Inflatable Death Star for Your Darth Vader Costume « Adafruit Industries – Makers, hackers, artists, designers and engineers! One of the best ways to celebrate May the 4th is by making stuff, and Caleb crafted a giant, almost fully operational battle station. He used a 12 foot beach ball as his base for the Death Star and essentially made a pillow case for it. Once he added acrylic paint, it transformed into a powerful and bouncy weapon. You can apply his method to a 12 foot beach ball or a smaller, more portable option you can carry around while in costume! Watch the video below to learn how to make your own Death Star.